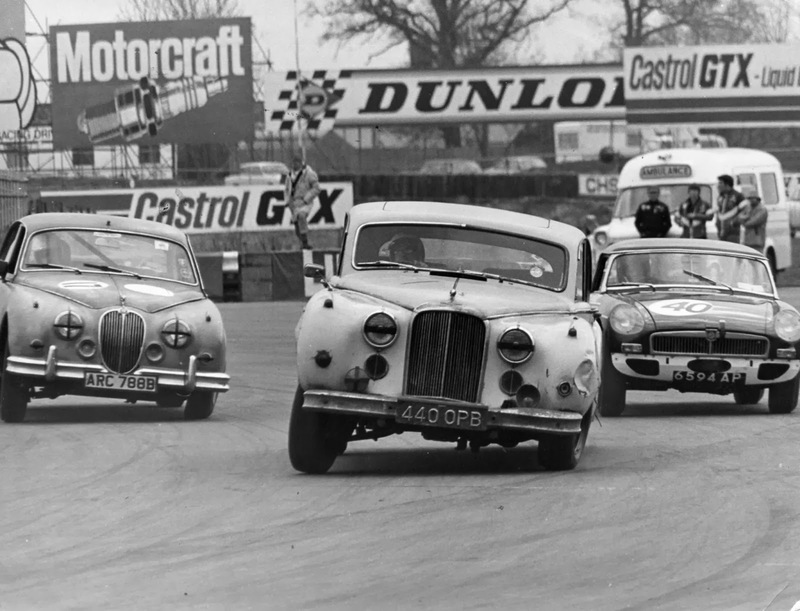 We rather take for granted the spectacle of full grids of immaculately (and very expensively) prepared historic Touring Cars in today's historic racing arenas. But was it always like this? I rather think not. 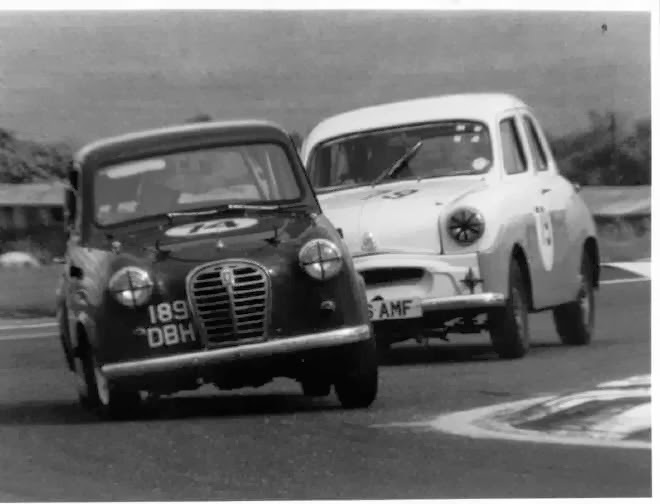 Wind back the clock to the mid 1970s and you would see equally full grids - but the preparation techniques back in those days owed far more to the enthusiasm of the owner/driver/preparer than to the cheque books of the well-heeled historic 'Gentleman Racers' of today! 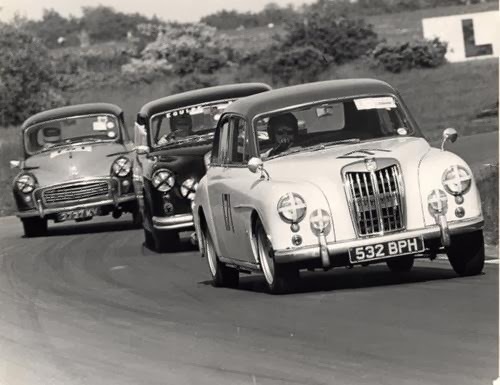 In the pioneering days of the Classic Saloon Car Club, donor cars were bought for just a few hundred pounds - or less! 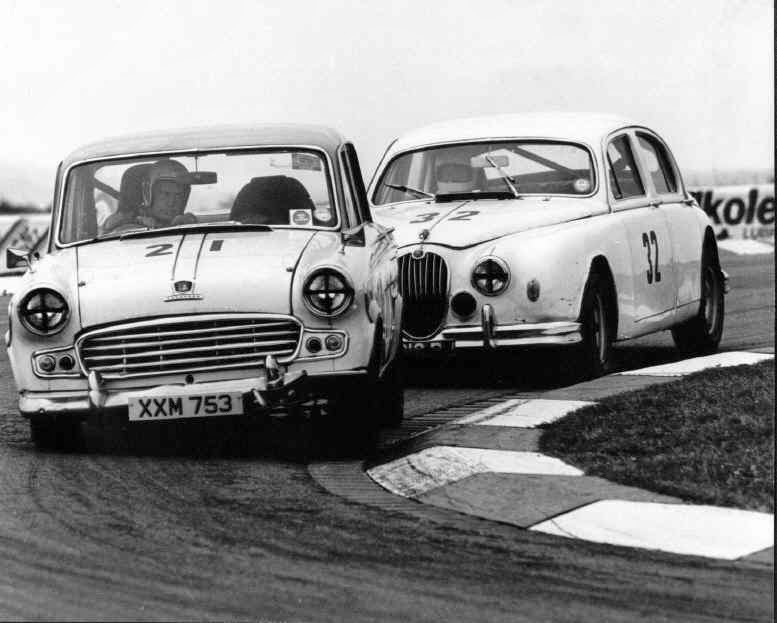 Preparation costs for a season may have run to as much as £600........ a far cry from the tens of thousands of pounds casually spent over a Season's racing nowadays. 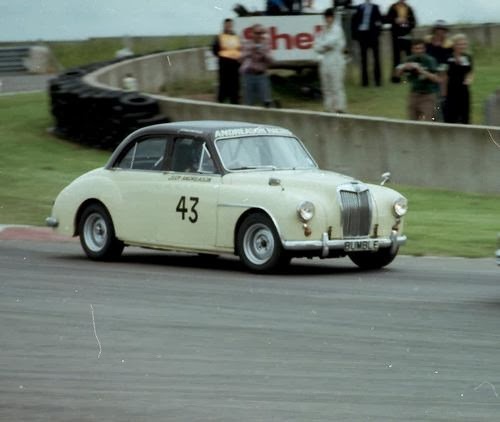 Cars were rarely trailed or transported to meetings as they often doubled-up as the everyday transport of the keen amateur racer. Preparation was basic. Cosmetic issues were left unattended, a secondary issue to finding a second-hand gearbox or buying some part-worn race tyres! 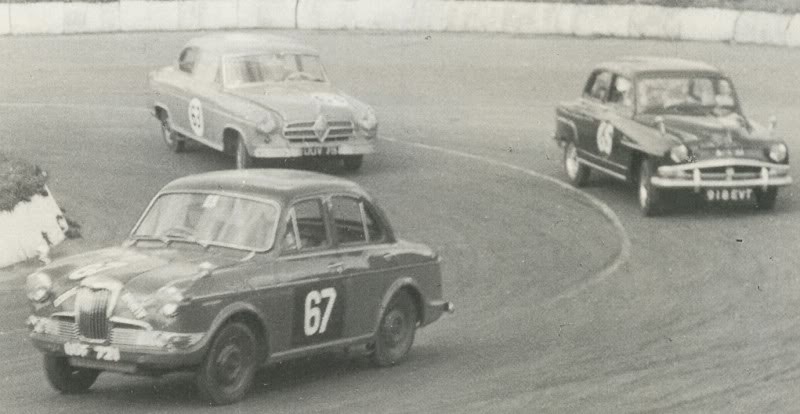 Oh, and do watch closely - a very youthful Touring Car Champion getting his first talking to by a Clerk of the Course! Can you work out who it may be? 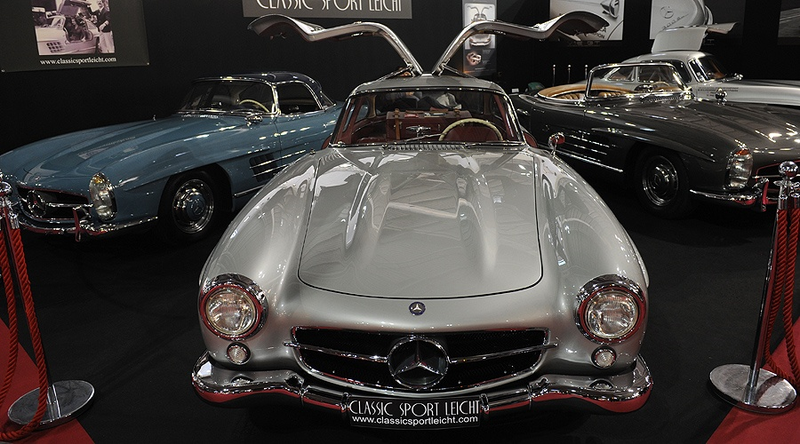 Without doubt, the Retromobile exhibition in Paris commands the greatest respect of the world's most influential car collectors and connoisseurs. No doubt the location at the Expo Port de Versailles in Paris is a bonus, but the real attraction is the tangible sophistication of the chic, Gallic charm that pervades over the entire presentation. This is where you must be if you consider yourself to be a true car enthusiast. But like a visit to the Louvre, the sheer scale of the event requires any visitor to take a measured view, or sensory overload will surely cut in! Most visitors take in the show in several stages - as one would naturally do when in France. 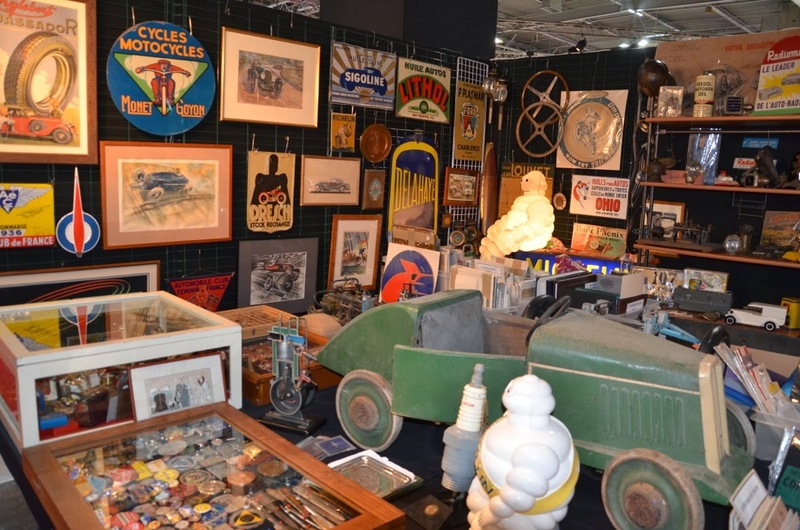 An early morning promenade through the extraordinary range of trade stalls, selling every type and aspect of Automobilia that one can visualise, will tie you in nicely for a pause for a strong coffee and a snack at one of the many excellent bars that serve the halls. Fortified, one can then take in the European Dealers' stands. Here we have the Premier League of classic car dealing - offering the rare and often unrepeatable exotica of the classic car world. 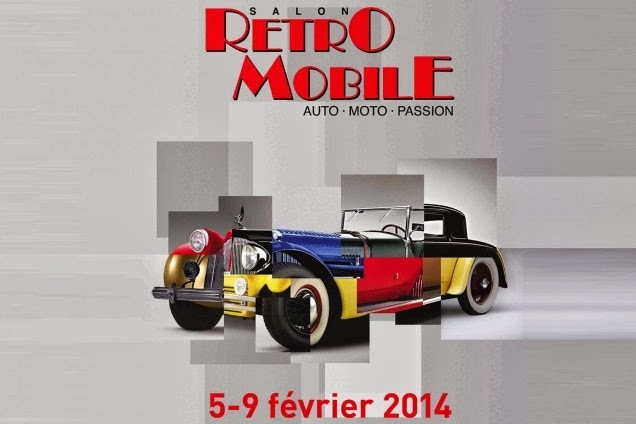 You will be sure to see unrestored 'discoveries', the unveiling of fresh restorations and many cars 'new' to the market - such is the drawing strength of Retromobile that many dealers programme the restoration of their prize offerings so as to be first seen here in Paris. That says a lot for the stature held by the movers and shakers of the classic car marketplace for this sublime event. By this time, you really will need to sit down and take in lunch. Thankfully you are in Paris and the Retromobile has a popular restaurant which, in typical Parisian style, will offer you a choice of one dish! The food is excellent, the service fast and to the point and the beer and wine most palatable. Refreshed and reinvigorated, it is now time to take on the special exhibitions, another speciality of this wonderful house. 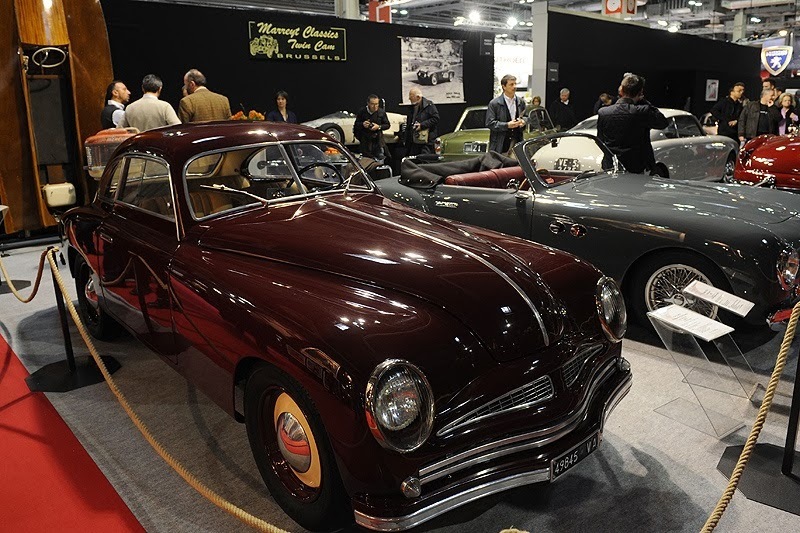 One of the star attractions of this year's show is the Cultural Lancia Retrospective, curated by International classic car dealer, Lukas Huni, who was responsible for lasts year's sublime Citroen Retrospective. 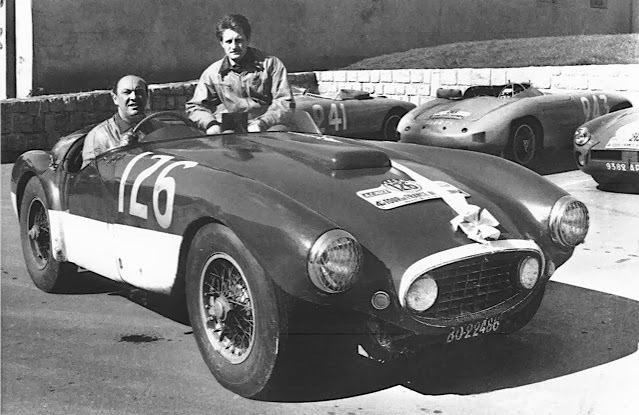 Huni has collated an inspire collection of historic Lancias from his clientele. The cars in this special retrospective consist of a selection of no less than 14 of the finest LANCIA models that will be exhibited on Stand S61 in Hall 1, ranging from Pre-War (1924 Lambda, 1938 Aprilia, 1939 Astura), through the significant 1950s, (a full range from Aurelia to Flaminia) through to the iconic 1974 Stratos, purpose-built competition car for the International Rally Championship. 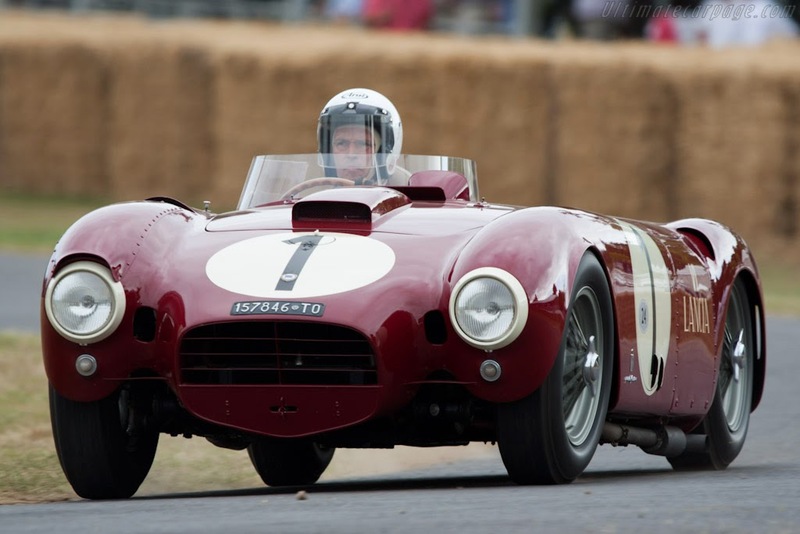 The crowning glory of this seminal set-piece must be the 1954 D24 Competition Barchetta. 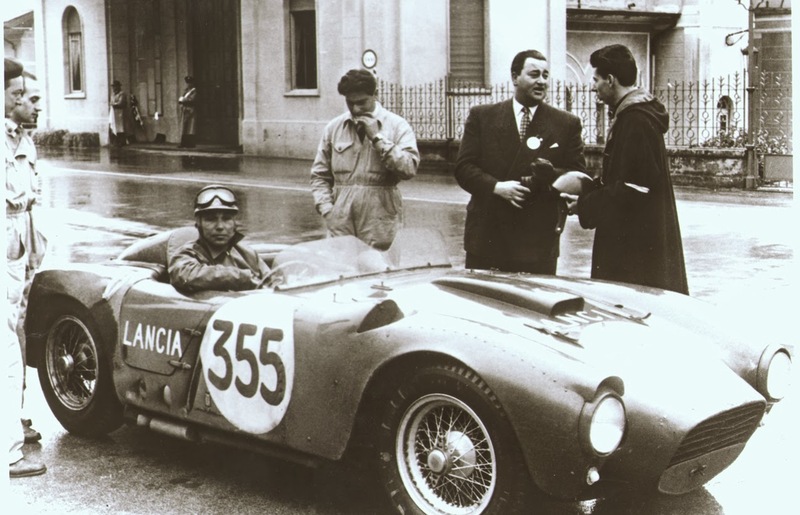 This particular, D24 – 0005, Winner of the 1954 Targa Florio, the 1954 Giro di Sicilia (Taruffi) and the 1954 Porto Grand Prix 1954 (Villoresi), is the only D24 in private hands, forming part of the European Collection. 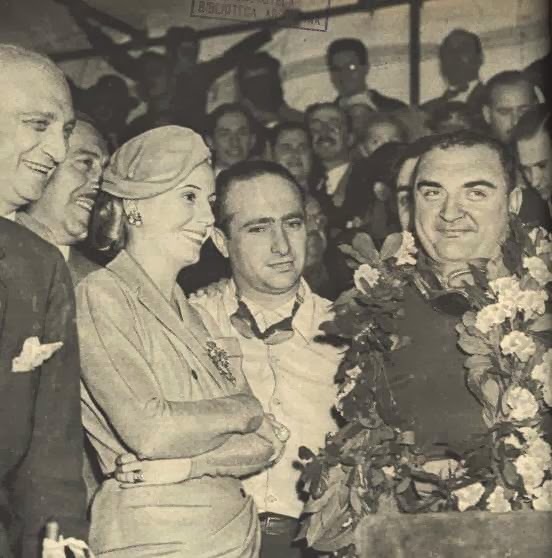 Having been given by Lancia to Eva Peron in 1955, it returned to Europe in the '80s. 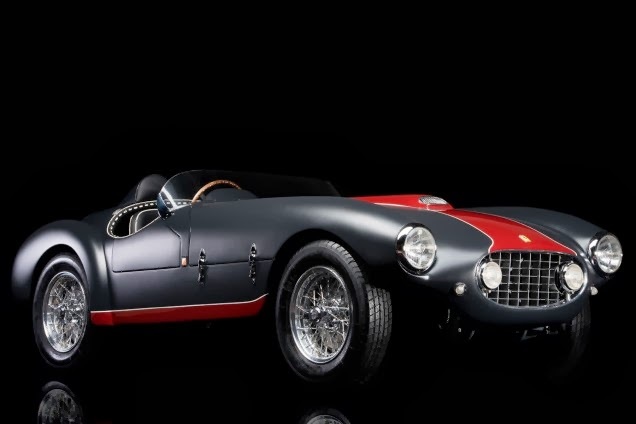 It is the only original D24 Competition Barchetta in private hands and forms part of a European Collection. Amongst the many special displays will be a an alluringly titled exhibit "Retromobile and the Thousand and One cars of the Maharajas". 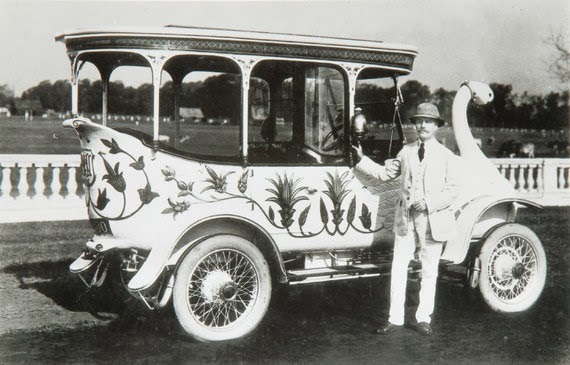 In India, during the 1920s and 1930s the automobiles of the Maharajas were of the most extravagant kinds: amazing shapes, extraordinary accessories, flamboyant colours. In order to stand out from their rivals, the Indian princes resorted to every possible option to be the most original - taking the most incredible leaps of imagination possible. 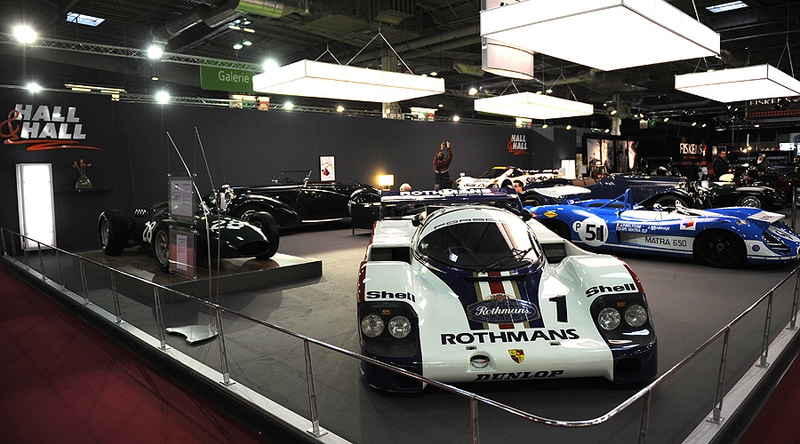 For the first time in Europe, fifteen automotive jewels of the Maharajas will be strutting their stuff here in Paris at the Retromobile Salon this February. Amongst these fascinating line-up will be the incredible Swan Car of the Maharaja of Nabha, several polished aluminium Rolls-Royces, purpose-built Tiger-hunting cars and lavish ceremonial cars. 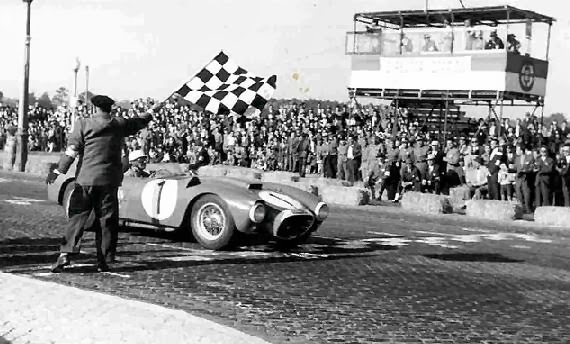 For the last three years, the highlight of the Retromobile show has been the auction sale organised by Artcurial Motorcars, which provides thrills and surprises : in front of a crowd of 3,000, the most desirable cars on the planet parade across the stage like the stars of Hollywood or Haute Couture, under the gavel of former racing driver Maître Hervé Poulain. This year, the department is delighted to present two exceptional sales on 7 and 8 February 2014. 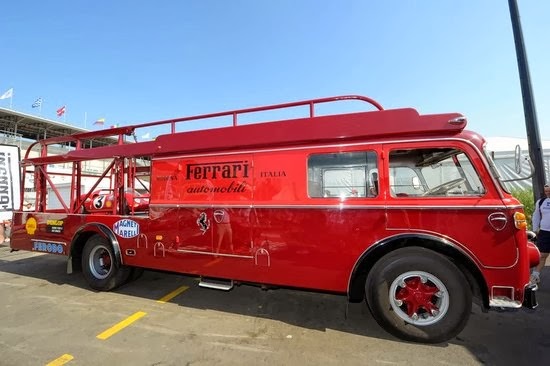 The first sale will offer approximately one hundred lots of fine automobilia and one hundred collectors’ cars, to include a significant choice of important Ferrari and some truly iconic automobiles. 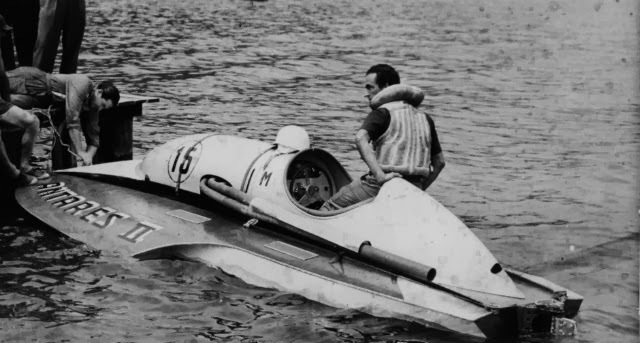 Amongst the line-up will be an exceptionally rare Ferrari 166MM Barchetta Oblin (estimate in the region of E 3,000,000) and a hydroplane, the Abbate Motoscafo Ferrari racing boat fitted with a Formula 1 engine (estimate E 400,000 – 500,000). 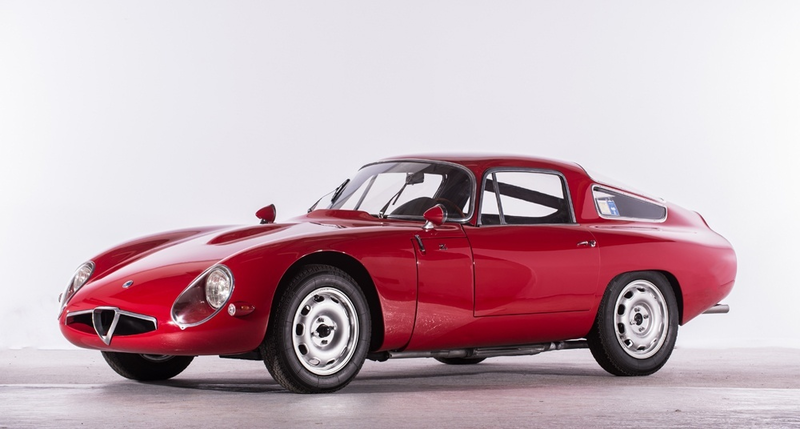 In the second sale, the Motorcars team will present some sixty Alfa Romeo motorcars, including a unique collection belonging to an Italian enthusiast. This collection features post-war models, every example perfectly restored and preserved. It includes one of the most iconic models of the Milanese marque, the TZ1. Admission: Adults 14€ when purchased in advance, 16€ at the gate.